This afternoon I spent about 15 minutes (from 3:30 PM) at bluebird park. When I arrived, the female was preening on a rock. The male flew in and up to the nest, then flew down by the female.After a short time the female flew downstream and did not return until the end of my observations, when it flew up to the nest and stayed. Meanwhile the male made 4 feeding trips to the nest. Next I went to bridge 3 and stayed 20 minutes (from 4:00). The darker bird was standing watch on a rock below the nest. 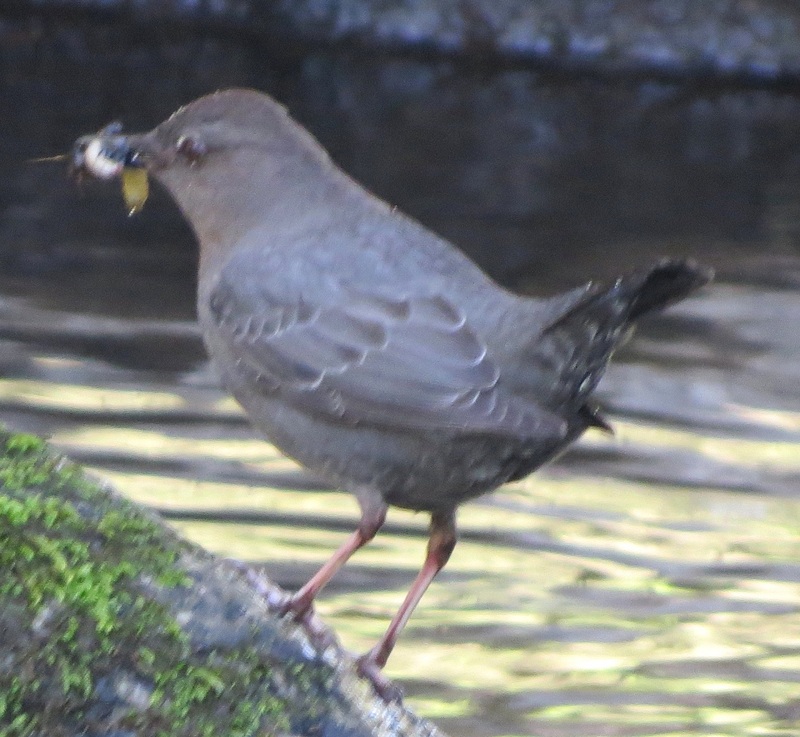 This bird made no obvious feeding trips to the nest, but flew out, returned (with no food), and then flew up near the nest once, without entering, then briefly entered the nest, and then splashed into the water below the nest where it swam around a bit and then flew upstream. Meanwhile, the lighter bird made several feeding trips to the nest…. This entry was posted in Watch Notes. Bookmark the permalink.